In an encouraging sign for the future tonagge supply, newbuilding ordering activity has quieted down over the course of the past couple of weeks. 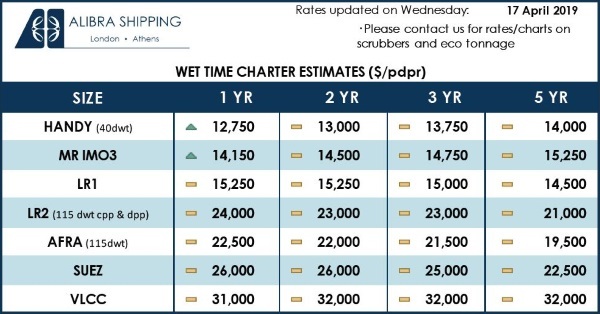 In its latest weekly report, shipbroker Allied Shipbroking said that it was “a moderate week in terms of newbuilding activity, with few new orders being reported during this past week. In the dry bulk segment, we saw intensified interest for Kamsarmax as well as Ultramax carriers, with two new orders being placed at Chinese shipyards for a total of 13 vessels. With the high volatility of the Capesize market of late, it is possible that owners have shifted their focus towards the smaller sectors that are showing a more stable performance and income stream. 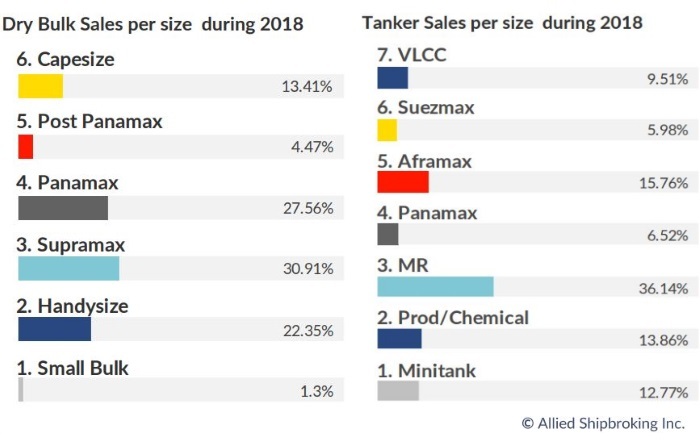 At the same time, momentum has improved for tankers as well, with Greek buyers having showed rejuvenated appetite, mirrored by the recent order for 4 Suezmaxes. Beyond this it seems as though limited action was to be seen in other sectors for the time being. Despite the fair bit of action witnessed over the past couple of months, newbuilding prices seem to have still remained relatively stable, though it most be noted that there is still a fair bit of expectation that this may well change before the end of the year”. In a separate newbuilding report, Clarkson Platou Hellas added that “Klaveness added a sixth unit to their series of combination carriers at Yangzijiang with one further 83,500dwt vessel for delivery within the end of 2020. JMU are also understood to have taken an order for two firm 82k Kamsarmax similarly for delivery in 2020. COSCO Shipping placed an order at compatriot yard COSCO Dalian for five firm plus four option 62,000dwt Pulp Carriers. One order in tankers, with New Times securing an order for two firm plus two option 156,000dwt Suezmax from NGM Energy with delivery at the end of 2020”, said the shipbroker. Meanwhile, in the S&P market, Allied said this week that “despite the sharp downward correction seen in the freight market these past couple of weeks, SnP activity has still remained at fair levels for the time being. However, it must be noted that interest was focused on Panamax and Supramax tonnage in its most part. Specifically, 5 Panamax and 3 Supramax vessels have changed hands this week, as well as 1 Capesize and 2 Handymax. Interest for SnP deals is expected to continue over the coming month, while sentiment seems to be still weathering relatively well for now. On the tanker side, another week with a fair amount of SnP transactions being witnessed in both the crude oil and product tanker segments. The improved freight market has played a major role while many still see this sector as an opportunity for bargain deal hunting. 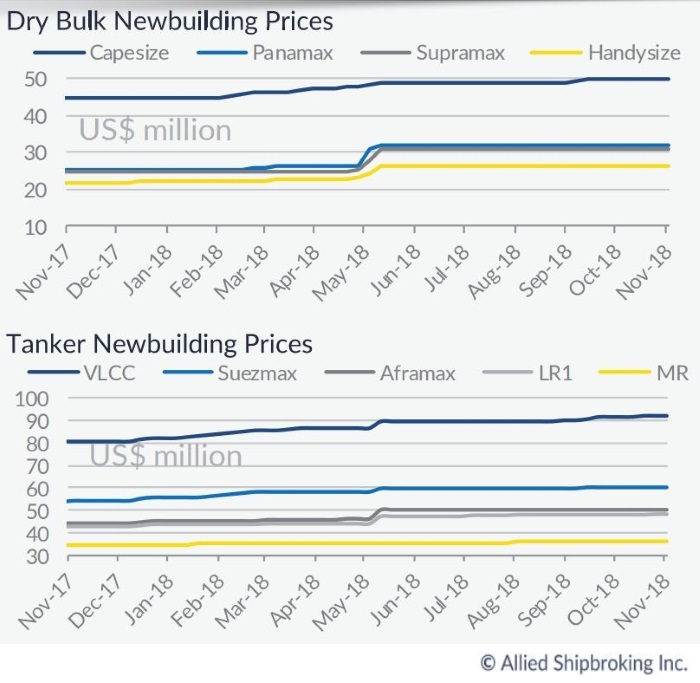 With the discount between secondhand and newbuilding carriers still at fair levels, this should help keep buying appetite on the rise”, Allied Shipbroking concluded. In another weekly note, ships’ valuations expert, VesselsValue said that “tanker values have firmed in all mid age tonnages, Aframax Petrovsk (106,400 DWT, Jan 2004, Tsuneishi Zosen) sold, SS Due, to NGM Energy for USD 12.8 mil, VV Value USD 12.11 million. MR2 High Pearl (48,000 DWT, Aug 2009, Iwagi Zosen) sold to Transocean Maritime Agencies for USD 16.0 mil, VV value USD 15.73 mil. Handy Tanker Seaways Alcesmar (46,200 DWT, Jan 2004, STX Offshore) sold to Greeks for USD 9.45 mil, VV value USD 9.30 mil. MR1 Kraslava and Kazdanga DD Due (37,300 DWT, Jan – Jul 2007, Hyundai Mipo) sold to Italians in an en bloc deal for USD 11.0 mil each”. Meanwhile, in the dry bulk segment, “mid aged Supramax tonnage has firmed. Capesize Southern Explorer (177,500 DWT, May 2002, Mitsui Ichihara) sold to Navitas Compania Maritima for USD 13.5 mil, VV value USD 13.19 mil. Panamax Navios Magellan (74,300 DWT, Jan 2000, Namura) sold to Chinese for USD 7.0 mil, VV value USD 7.09 mil. Supramaxes Ocean Carrier and Ocean Vendor (56,900 DWT, Jan – Mar 2012, Tianjin Xingang) sold in an en bloc deal for USD 13.0 mil each. 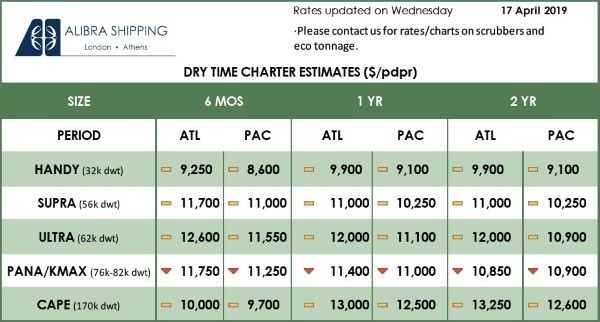 Greek buyers have purchased 4 Handy Bulkers, the Xing Jing Hai, Xing Ning Hai, Xing Yuan Hai and Xing Zhi Hai (34,400 DWT, Jul – Dec 2015, Namura), from Fortune Ocean Shipping in an en bloc deal for USD 74.0 mil. 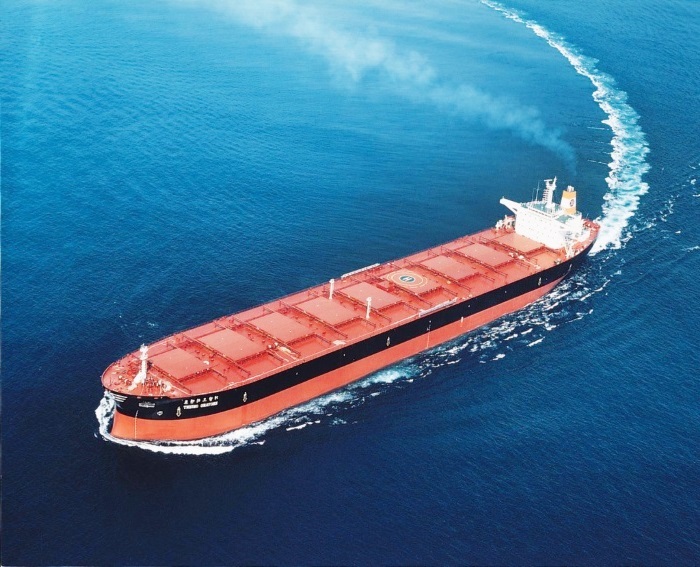 Canadian Forest Navigation have purchased 2 handy bulkers, the Mistral (30,000 DWT, Jan 2010, Wuhu Xinlian Shipbuilding) and the Bora (29,700 DWT, Apr 2010, Wuhu Xinlian Shipbuilding), from Armania Shipping in an en bloc deal for USD 17.0 million”, VV concluded.